description: A double sided porcelain neon sign with top mounted decorative wings. A black can creates the structure for each of the two porcelain face plates as well as a front bull nose which also says "EAT." 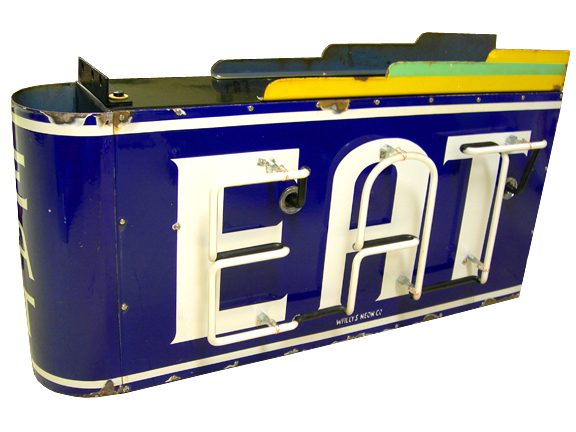 information: The sign was disassembled, cleaned, faces polished and only the can was painted. New tube supports, replaced fasteners with stainless steel, new transformer, wiring and power cord.